Piecing together your dream car!! - TI Accountancy Ltd.
Piecing together your dream car!! Well a month into this year already … how did that happen!! That is a twelfth of your time gone towards your goals, how are you getting on? Sometimes it’s really hard to see the wood for trees and if you’re not a numbers person then having to calculate if you are “on track” can be a bit of a nightmare that you put off checking. A solution to this is to work towards a tangible asset. For instance, A few of years ago I REALLY wanted a Range Rover Evoque. To get this car on contract hire I was going to have to take extra money out of the business each month and I didn’t want to put my prices up to my current clients to pay for it so I decided I was going to set myself a target of attaining new clients to achieve this extra income. I knew how much our average client turnover was and I knew our gross profit margin so from these I knew the average amount of net profit I would get from each new client. Obviously, all clients have a different fee but over the year the average always only tends to increase by a small amount. 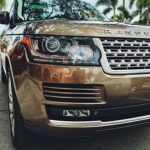 This made my target easy as I knew how much the Range Rover Evoque was going to cost per month and therefore I knew how many new clients we needed for me to be able to afford to take the money out of the company. Each month I enjoyed seeing how many new clients we had taken on and would joke that this month we got enough to pay for the “air conditioning” or “the front left tyre”. Making the financial goals about the tangible parts of the car really brought it to life for me and I enjoyed knowing how close to my goal I had come and felt like I was piecing together my own car. Last month I gave out a cheat sheet to show you a quick way to work out these numbers (if you missed that then the cheat sheet is here). So, with a few simple calculations you too could know how many new clients you need to reach your goals this year then transfer this to your dream car, your dream holiday or whatever it is you are aspiring to treat yourself to this year and feel it all coming together over the year.